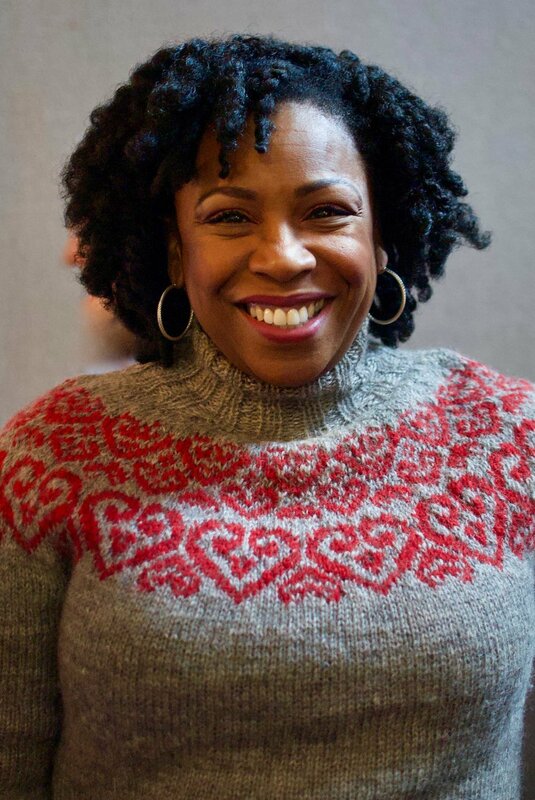 Meet Sonja from Blacker Yarns! 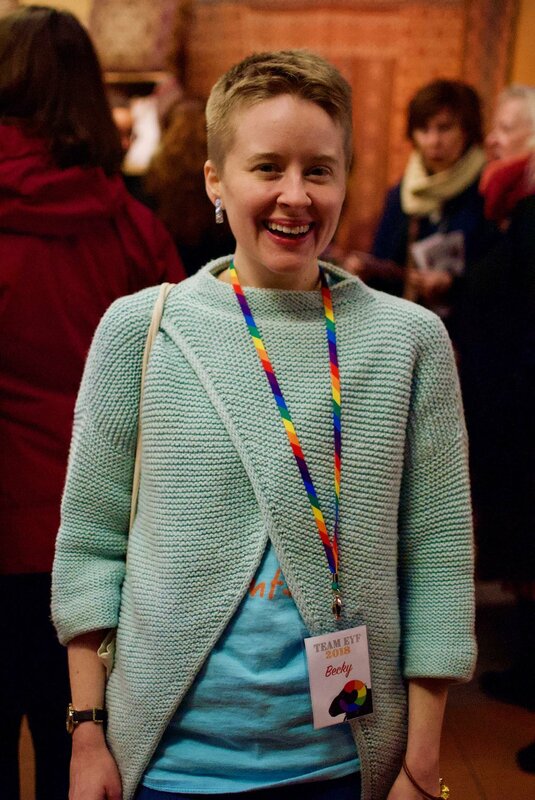 Sonja Bargielowska is Blacker Yarns Brand & Marketing Manager and will bring ALL THE WOOL up to Edinburgh for our festival, so we thought it only appropriate to ask her a few questions about her job and how she got into it what she does today. When did you start to work with Blacker Yarns? I've been at Blacker for just over a year and a half. 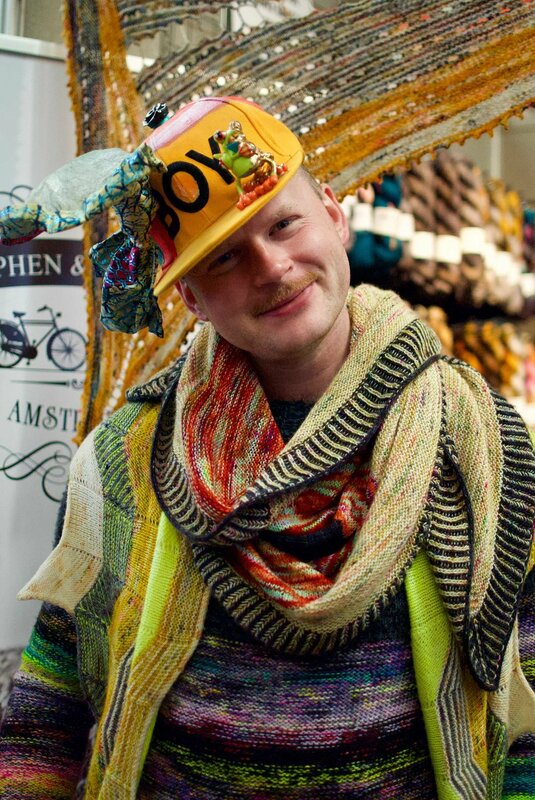 Before this I worked at Loop Knitting in London and briefly interned with the lovely ladies at Pom Pom Quarterly. How did you end up working for Blacker? It was a bit of an accident really. I'd spent about a year trying (and failing) to get a job in museums and heritage and then one day decided to email my CV to every business on the Campaign for Wool supporters’ website. Luckily Blacker were hiring, so by some serendipitous twist, I found myself moving to Cornwall four weeks later and starting my dream job in the fibre industry. Can you describe a little what your job entails? As I'm sure anyone who runs a small business is aware, each day holds something different. In an average week, I'll do everything from marketing and product development, to sales and customer service, to slightly less glamorous tasks like making colour cards and stock checking dye-lots. I think people often get the impression that Blacker Yarns is a little larger than it is, but really it is just Kamila (our dispatch lady) and I - with Sue Blacker, the company’s MD, offering her invaluable guidance along the way. Have you always known how to knit? I’ve only been knitting for about five years, but I've always loved creating things. When I was a teenager, I spent hours up to my elbows in clay. When I moved to London at nineteen to start university the pottery fell by the wayside – there isn’t quite enough space for a potter’s wheel and kiln in student accommodation! How many different breed specific yarns do you currently have on offer? We have six permanent breed yarns: Shetland, Gotland, Merino (Blacker Swan), Jacob, Hebridean/Mohair and BFL. We then also have a revolving range of limited edition breeds in thicknesses from 4-ply through to Aran, mostly undyed. We currently have seventeen of these wonderfully woolly offerings from Teeswater through to Ryeland. It is great seeing people buy one ball of a few different breeds. I like to imagine them test driving each one and becoming well acquainted with the characteristics of each individual breed. One of the things BY are best known for are the great variety of breed specific yarns. Can you tell us a little about how you select the breeds to spin into actual yarn? We tend to buy directly from small holders and are always on the hunt for shepherds with unusual breeds. Once we have the fibre, Sue and I decide whether to process the yarn as woollen or worsted spun. There are positives and negatives to both methods, but generally worsted spun yarn is leaner, smoother and more lustrous (such as our BFL) and woollen spun yarn is plumper (like a traditional Shetland), lighter, and more pill resistant. We try to stock a wide variety of textures and shades; people would be disappointed if we suddenly had nothing but downland breeds or naturally dark breeds in stock. Some breeds such as Jacob and Shetland are relatively abundant. While some other British breeds such as Castlemilk Moorit and Soay are listed as ‘at risk’ which means there are currently between 900 and in the UK. With these fibres we often have to wait a few years in order to gather enough fleece to make a batch of yarn. I think we’ve now spun every British breed at one time or other, so Sue and I are toying with the idea of expanding our limited editions to include a few European breeds. Many of these breeds have never been spun commercially, so it would be great fun to give them a try. Is there anything that makes British breed wool unique to work with? Each and every breed has its own unique qualities, and some breeds such as Cotswold have been around since the Middle Ages. It is only in the last eighty years that farming has focused on meat production. Before this, fibre was just as valued, and each sheep breed will have been bred to suit a specific purpose, from carpet yarn through to baby garments. In my opinion it is this great variety which makes British breed wool such a joy to work with. If you start paying close attention then you’ll notice that each and every ball has a slightly different handle. I find this magical, especially in a world in which the majority of experiences are increasingly homogenised. We are aware of Sue Blacker’s "Pure Wool" book. On your website you offer a selection of other patterns - who writes them for you?Our patterns are written by a selection of different designers. Sue and I both design. We also have a selection of designers like Rita Taylor and Sian Brown with which we work from time to time. All our patterns are free to download on both Ravelry and our website, so please pop over and take a look. We’re also beginning to collaborate more with indie designers, which I love. There are a number of exciting projects in the works for later in the year, so stay tuned! We are expecting a lot of overseas visitors for EYF. Which yarn would you recommend them to try as introduction to Blacker Yarns? I like to think we have a yarn for everyone, so really it depends on what that person is looking for. Our Merino yarn, Blacker Swan, is ideal for fans of soft sumptuous yarn, where as our Westcountry Tweed is perfect for those really wanting to knit ethically – all of the fibre in our Tweed yarn comes from within 80 miles of the mill, so this yarn has the smallest footprint in our range. If a customer is interested in exploring a new breed then I would generally suggest Wensleydale or Shetland as these yarns are a great introduction into breed specific knitting yarn. Our British Classic yarn would also be a great beginning point. This yarn is our everyday value range, available in four thicknesses and a subtle muted colour palette. I’m currently working on a pair of house socks in this yarn and finding it a really satisfying knit; with wonderful stitch definition and strength, the yarn just bounces from one needle to the other. 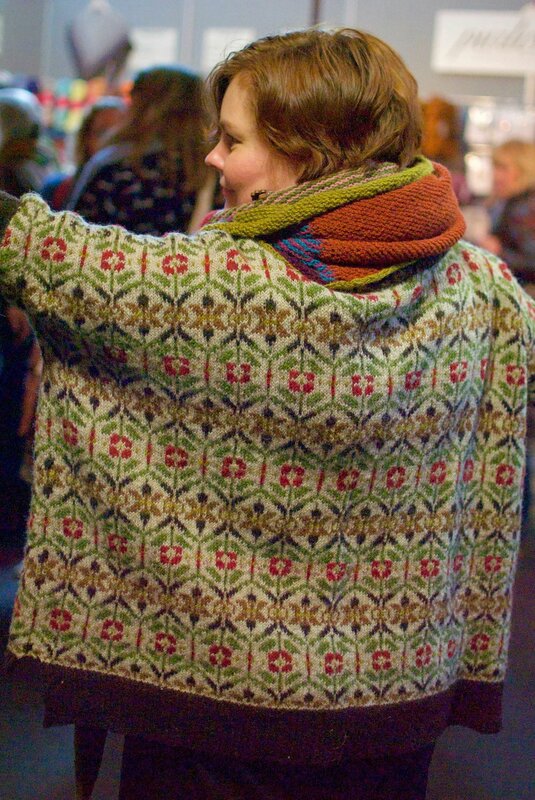 You're coming to EYF this year (which we are so excited about!) and apart from your involvement as sponsor for the Podcast Lounge, what can visitors expect to find at your booth? We will have a selection of both our ranges and our British breed yarns but I’m probably most looking forward to launching Tamar, which will be a brand new edition to the family. Tamar is a lustre blend yarn with a fluid sheen, reminiscent of flowing water and the river which gives this blend its name. This luxurious lustre yarn is made from historic Wensleydale, Teeswater, Cotswold and Black Leicester Longwool, which are amongst the most distinctive British breeds. However, a pure lustre yarn can lack bounce, so I’ve blended these breeds with 30% fluffy Cornish Mule. I had such a blast deciding upon the blend and selecting the shades, so please do pop by our stand and give it a squish - we’d love to hear what you think! In addition to this, the incredible Louise Scollay (of KnitBritish fame) and I will be hosting a workshop on both the Friday and the Saturday. We’ll be focusing on thinking past the ball of yarn. 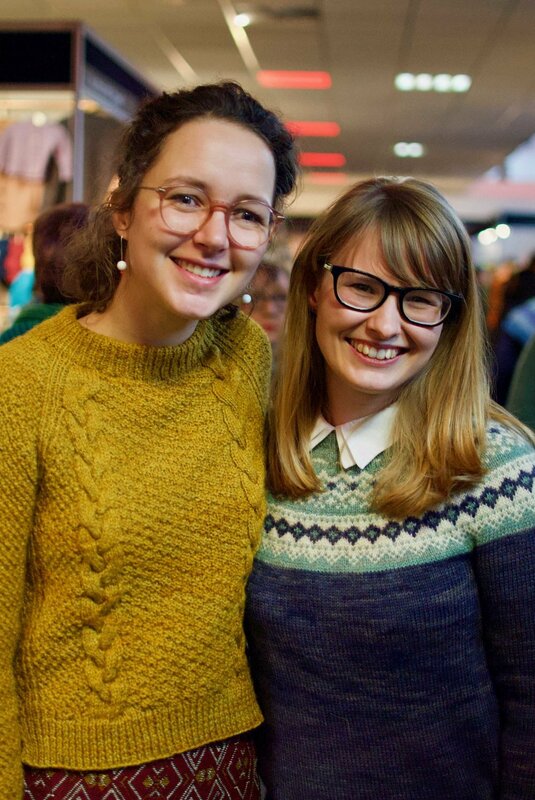 There has been a lot more interest recently in ensuring the longevity of our knitted garments, so Louise and I thought it would be fun to help people gain an understanding of how individual fibres will wear over time. If you had to chose one breed specific yarn (only) to take to a desert island - which would it be and why? Wow - this answer changes every week. But at the moment I think I’d probably have to pick Gotland. It has such a wonderful rustic quality, with a soft delicate halo surrounding the finished fabric. The yarn seems to glow in sunlight, almost like mother of pearl, and it comes in the most gorgeous range of natural greys. What's on your needles just now? Too many things! I'm just finishing designing a pair of socks for Tamar and I’m about to start working on a T-shirt design for our linen blend, Lyonesse. But I also have about three non-work related WIPs. 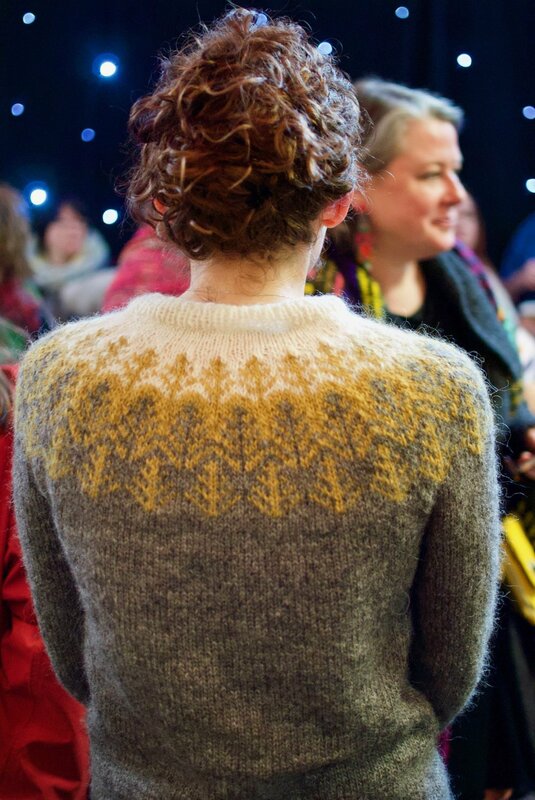 My current favourite of these is Chainlink by Norah Gaughan in Pirkkalanka 4-ply. It is just such an original construction. 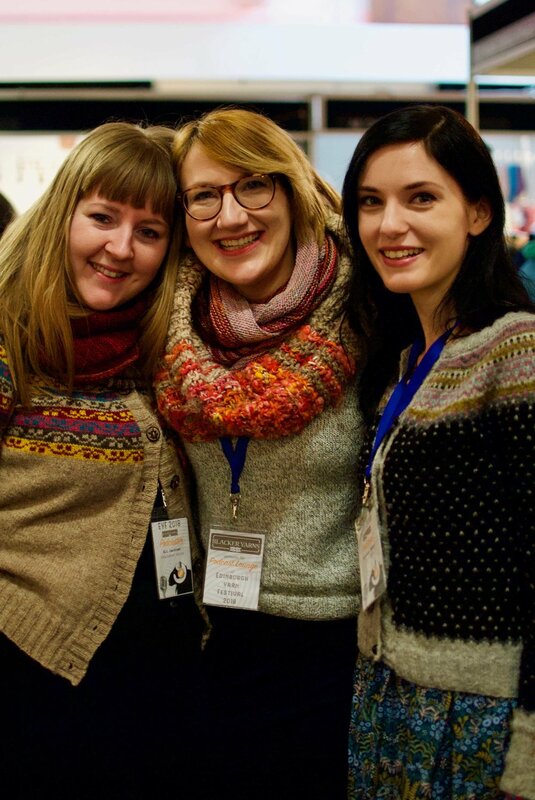 Do you meet up with a local knitting group, or is knitting more of a "work thing" only? I used to meet up with knitting groups but now I think my woolly socialising is purely online based. However, I’ve recently learned to drive so maybe I’ll venture out and find a local knitting group? 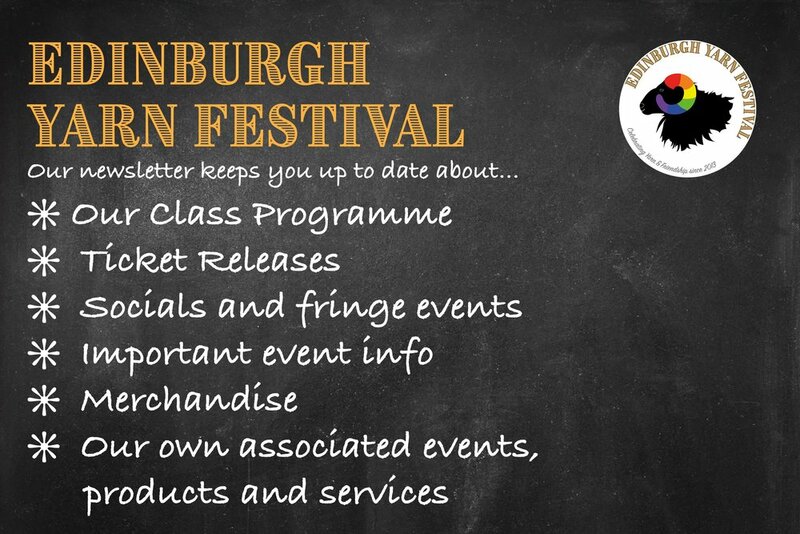 What are you most looking forward to about coming up to Scotland for EYF? Meeting everyone! From customers to stall holders, I just have such a blast talking to people and hearing what they’ve been working on. 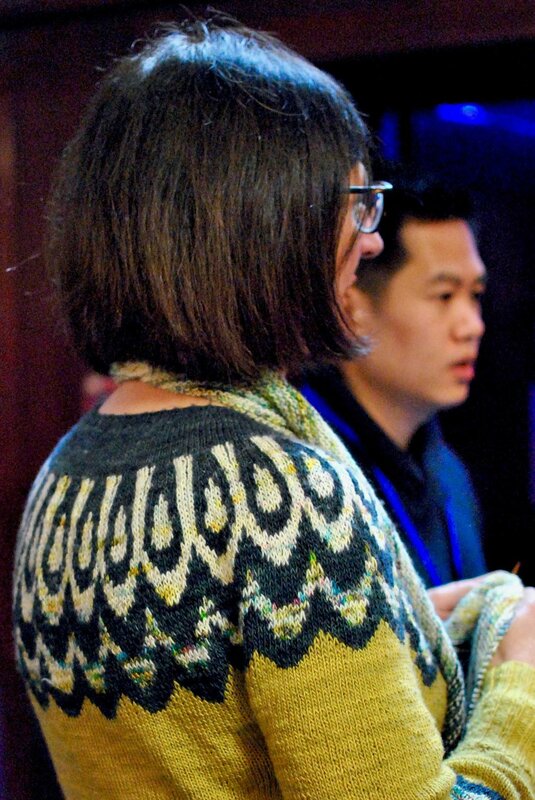 There are so many strong, inspirational women in the fibre industry and I just love the communal atmosphere. 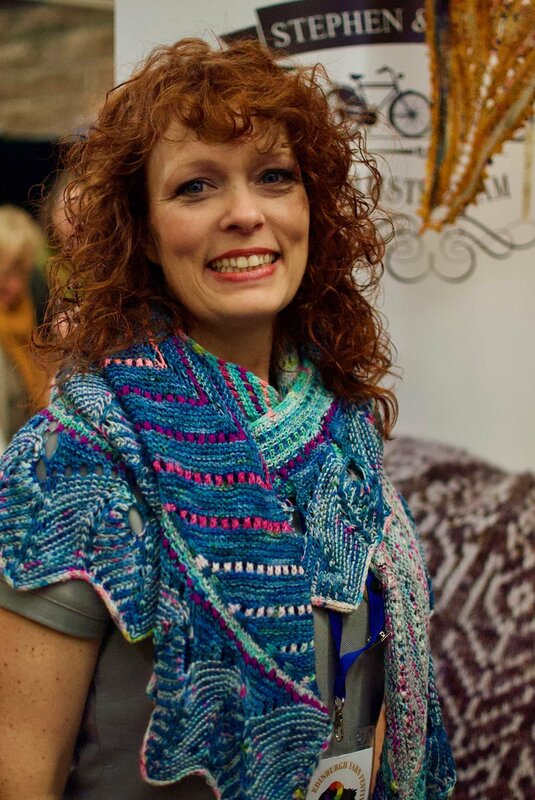 You will find Sonja and The Blacker Yarns Team at their stall next to the "Blacker Yarns Podcast Lounge".